The Euro crisis, out of control government debt, popping real estate bubble, military conflicts – and one man who predicted it all. The documentary The Forecaster tells the story of Martin Armstrong, whose predictions in the 1980s shook entire economies. 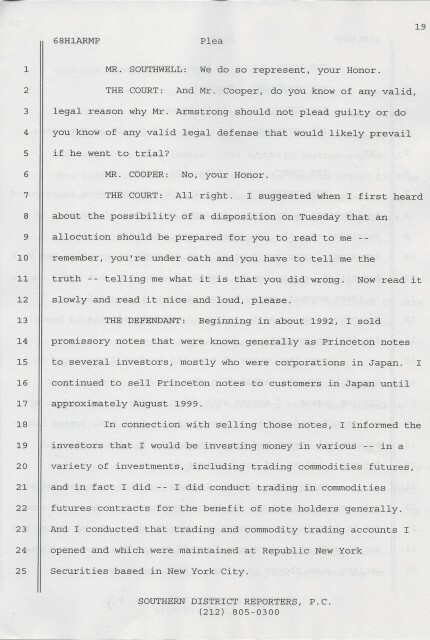 When he refused to manipulate the markets, Armstrong became the subject of an unprecedented miscarriage of justice. The Forecaster Interactive is the online companion to the movie. With exclusive videos, interviews, original documents, and curated news articles, you can dive into the world of Martin Armstrong. Is he a con man or a genius? Using the evidence and source materials in the timeline, you can check Armstrong’s statements and decide for yourself. Are his forecasts right? Use the menu to jump to key moments in the film and the filters to search for specific information and explanations. Click here to view the introductory video. Did World War III Start on the Precise Day of the ECM? Martin Armstrong on his blog about 2015.75 and one particular political decision: “Russia began bombing CIA-trained rebels in Syria precisely on the day of the turn in the Economic Confidence Model. As CNN pointed out, the bombing continues. Now, hundreds of Iranian troops have arrived in Syria to join a major ground offensive in support of President Bashar al-Assad’s government. Clearly, the civil war in Syria is escalating. We will see this unfold as a proxy war directly between U.S. and Russia with China supporting the Russian side in this game. This conflict is turning regional and global in scope by drawing in the world powers all because the U.S. war machine thinks this is a game. […] This should be of great concern because historically, whatever unfolds on the precise day of the ECM, becomes an important event.” Read the whole article on Martin Armstrongs Blog. Is Martin Armstrong’s Debt Crisis Upon Us? Michael McKenna checks on Martin Armstrongs 2015.75 prediction for tradingfloor.com: “It is in this sense that finance belongs to the most antique class of human activities, and it would follow, then, that analysts whose data stores and models extend furthest into the past might have an advantage in extracting future events from past behaviours and the patterns that have contained them. “You can always find someone who is calling for a crisis around the corner”, says Saxo Bank bond trader Michael Boye; […]. More specifically, however, Boye does state that he agrees in principle with Armstrong’s debt crisis thesis. “What we have done since the financial crisis”, he says, “is move all the debt problems from the balance sheets of individuals, banks, and corporations onto governments on the fiscal side, while massive central bank liquidity injections have kept the system afloat in the monetary side”. Read the whole article at tradingfloor.com. Watch Martin Armstrong answer some in depth questions in this exclusive Q&A. He explains electronic currency, the future of the Eurozone, the cycles of his ECM model and what he’d suggest young people. 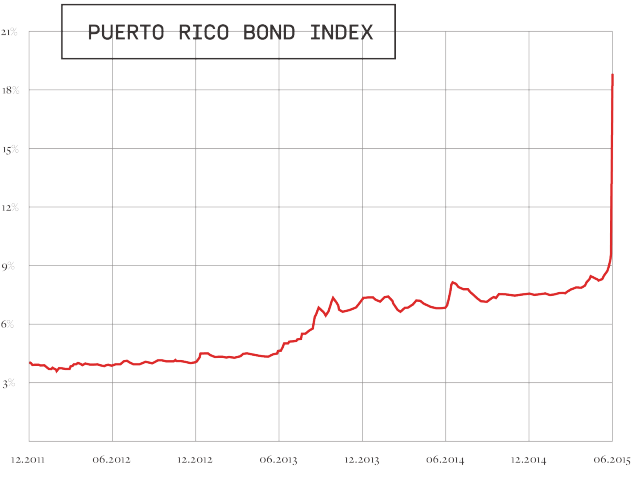 “Over 20% of bond funds in the United States own at least some Puerto Rican bonds, according to data from Morningstar. If the defaults continue, more Americans will be impacted.” – More facts about the caribbean crisis over at CNN Money. If we want to date the moment when the Atlantic liberal order lost its authority – and when the European Project ceased to be a motivating historic force – this may well be it. In a sense, the Greek crisis is the financial equivalent of the Iraq War, totemic for the Left, and for Souverainistes on the Right, and replete with its own “sexed up” dossiers. Does anybody dispute that the ECB – via the Bank of Greece – is actively inciting a bank run in a country where it is also the banking regulator by issuing this report on Wednesday?” Read the full analysis of Ambrose Evans-Pritchard at The Telegraph. Europe, […], has an entirely different problem. The failure to have consolidated the debts of member states meant that the reserves of the banks were constituted from a politically correct mixture of debt. Instead of fixing the problem, politicians who are lawyers always move one-step forward with laws. To them the logical solution is to eliminate cash to protect banks from a panic run that would collapse Europe and take Brussels with it. This is now a deliberate marketing campaign. I know how these things work and pay attention. They are selling this idea everywhere and that is the preparation for the inevitable action. ” Read the entire forecast at Armstrong Economics. Martin Arthur Armstrong is The Forecaster. Watch the trailer to the movie everyone in the financial industry is talking about. “Somewhat surprisingly, cross-border capital flows are equally anemic. Despite the common perception that multinationals these days manufacture their products anywhere but the West, global foreign direct investment (which reflects the amount that companies earmark for doing business in other countries) has fallen to a mere 2 percent of global GDP from 4 percent before the recession.” More on how globalization is giving way to “reshoring” and “localization” in the Washington Post. The US appears to be near the tail end of its leverage cycle, Europe is still deleveraging, while China may be nearing the downside of a leverage cycle. Though many factors are at work, the view that we have lived through a debt supercycle, marked by a severe financial crisis, is far more constructive for policy analysis than the view that the world is suffering from long-term secular stagnation due to a chronic shortfall of demand.” Read the full column of Kenneth Rogoff on VoxEU.org, the Centre for Economic Policy Research’s policy portal. Nobody knows what happens next. Bookmakers are still giving better than even odds that Greece will stay in the euro. But if it doesn’t, I don’t believe the damage would stop there — a Greek exit is all too likely to threaten the whole currency project. […]” Read the rest of Paul Krugman’s column “Nobody Understands Debt” in the New York Times. 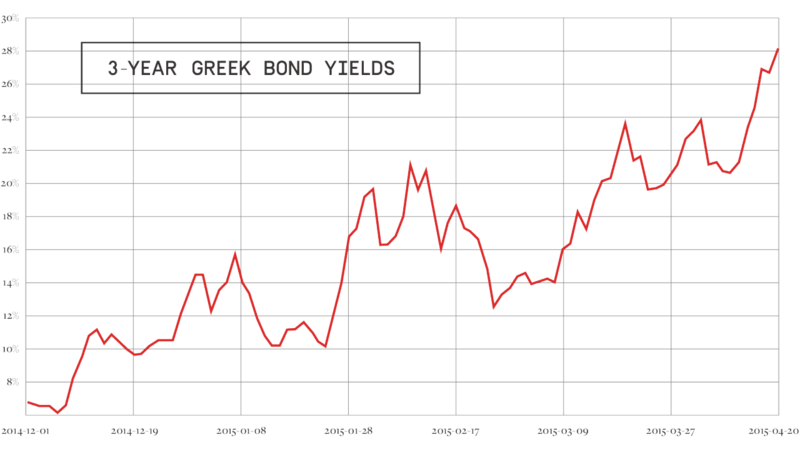 “At the end of 2013, Greece owed upwards of €300 billion, or roughly 175% of GDP. It will never pay that debt in full and everyone knows it. […] Even if countries don’t stop making payments outright, inflation eats into the value of debts over time, alleviating the burden. The fact is, governments never really pay back all the money they borrow, at least not in real (i.e. 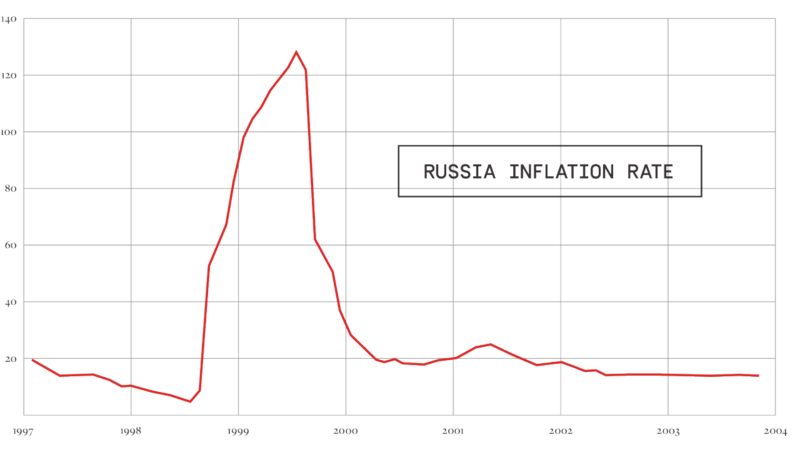 inflation-adjusted) terms.” Read more in the article on Quartz. Martin Armstrong and director Marcus Vetter talk in this exclusive interview why only a non-America resident could do the documentary "The Forecaster". “The European Central Bank says capital flight from Russia since the Ukraine crisis erupted may be four times higher than admitted by the Kremlin, a clear sign that sanctions pressure is inflicting serious damage on the Russian economy. Mario Draghi, the ECB’s president, said the outflows from Russia have been large enough over recent weeks to push up the euro exchange rate, complicating monetary policy for the ECB. “We had very significant outflows that have been estimated by some to be in the order of €160bn out of Russia,” he said, without specifying where the information came from.” Read the whole article at The Telegraph. “Government after government in almost every country in the world has piled up future commitments without setting aside any funds to meet those commitments. This is the characteristic of so-called pay-as-you-go pensions and health provision. The working generation goes to the ballot box to vote itself pensions and health entitlements without putting any money aside to meet these future obligations. Instead, the next generation of workers is expected to meet the cost, just as today’s elderly expected to receive their pensions and healthcare from the taxes of the working generation that followed.” Read the rest of Philip Booth’s commentary in The Telegraph. Growth has not been balanced across Europe and, therefore, may not be sustainable. There are pockets of stronger growth and high employment, for example in Germany, but growth is low or declining elsewhere. Most of the demand for European goods and services comes from abroad, not from within, leaving the economy at the mercy of the ups and downs of global trade.” Read more about on why the danger has not passed in the Telegraph and the full text of Lagarde’s speech on the website of the IMF. Sovereign risk is an issue. That’s one of those phrases that sounds pretty innocuous and boring, but it hides something really dramatic. It means that for PIMCO, Greece went from being one of the countries that you don’t have to worry about to one that might not be able to pay its bills. When money managers worry about a country not paying its bills, things get very weird.” Listen to the episode “Continental Breakup” on This American Life. The New York Times’ Sunday Review has a well designed interactive visualisation of the European Crisis. It shows all the connections of European economies, the trouble makers amongst them, possible scenarios and global reverberations. “Europe’s leaders are claiming a victory in the eurozone crisis after agreeing new deals that slash Greek debt and increase the firepower of the main bailout fund to around €1 trillion (£872bn). […] At one stage talks broke down with holders of Greek debt but they ended up accepting a loss or ‘haircut’ of 50% in converting their existing bonds into new loans.” Read more about the deal in the October 27, 2011 edition of The Guardian and in the full statement from the euro summit. “But key aspects of the deal, including the mechanics of boosting the EFSF and providing Greek debt relief, could take weeks to pin down, meaning the plan to rebuild confidence after two years of crisis could unravel over the details. […] Three months ago, euro zone leaders unveiled another agreement that was meant to draw a line under the debt woes that threaten to tear apart the 12-year old currency bloc. But they realized within weeks that it was inadequate given the depth of Greece’s economic problems and the vulnerability of their banks.” More on the missing parts of the euro deal from Reuters. “While European leaders are wrestling this weekend with plans to staunch the loss of investor confidence in their financial system, many economists believe the euro project is doomed unless the 17 member states take a giant step towards unifiying their budgets. “You can’t defy the laws of economics for very long,” Australian National University’s Warwick McKibbin says. To those who say it is not possible to unscramble the egg and give nations back their own currencies, McKibbin says the same was held to be the case for the rouble zone in the Soviet Union. “People said a Soviet Union break-up was not possible, but it happened,” he says.” – David Uren of The Australian Business Review. The Euro is going to fail and Martin Armstrong names the reason in this exclusive interview for "The Forecaster - Interactive". “Anxiety about the health of the euro, which has spread from Greece to Portugal, Spain and Italy, is not simply a crisis of debts, rating agencies and volatile markets. The issue has at its heart elements of a political crisis, because it goes to the central dilemma of the European Union: the continuing grip of individual states over economic and fiscal policy, which makes it difficult for the union as a whole to exercise the political leadership needed to deal effectively with a crisis.” Read the full article in the February 6, 2010 issue of the New York Times. “The International Monetary Fund inched towards greater involvement in Greece’s efforts to resolve its budget crisis on Monday, announcing that it will send a technical mission to Athens later this week. The mission will advise the Greek government on pension reform, tax policy, tax collection and budgetary controls but will not have any role in developing or vetting Greece’s fiscal consolidation plan.” – The Financial Times about the plan of the IMF to get Greece back on track. “The preliminary order of forfeiture filed in the US courts on Friday lists an apartment in Manhattan, a retreat in Long Island and a home in Florida, worth $22m in total, among the assets of Madoff and his wife, Ruth. Add to that two luxury yachts called Bull and two small boats called Little Bull and Sitting Bull. Throw in a couple of fur coats and crockery and cutlery valued at enough to fund an entire kitchen in most homes and the picture of their extravagant lifestyle is complete.” Read more about the missing assets and investor funds from the Madoff Ponzi scheme in the June 30, 2009 issue of The Guardian. On June 29, 2009, Judge Denny Chin sentences Bernard Madoff to 150 years in prison. Many Nations Fared Even Worse Than U.S.
“Though it is the worst year in decades for U.S. stocks, American investors would have been better off keeping their money at home rather than plowing it overseas. […] Many nations fared even worse than U.S.; Germany shed 42%… The breadth and depth of the declines across global stocks this year illustrate how, in moments of extreme stress, markets tend to move in lock step.” Read more in the December 1, 2008 issue of the Wall Street Journal. “What had started 24 hours earlier, with a modest sell-off in stock markets in Asia, had turned into Wall Street’s blackest day since the 1987 crash. The broad market, as measured by the Standard & Poor’s 500-stock index, plunged almost 9 percent, its third-biggest decline since World War II. The Dow Jones industrial average fell nearly 778 points, or 6.98 percent, to 10,365.45.” For the reactions and measures taken in Washington and around the world, read the rest of the article in the September 29, 2008 issue of the New York Times. “Treasury Sec. Hank Paulson’s $700 billion bailout plan now has a name: the Troubled Asset Relief Program, or TARP. But even as Capitol Hill debates TARP, few seem to have noticed the proposal item that puts taxpayers on the hook for future bailouts. It’s in Section 6, and the key phrase is this: ‘The Secretary’s authority to purchase mortgage-related assets under this Act shall be limited to $700,000,000,000 outstanding at any one time. '” Read the rest of the fine print in the September 24, 2008 issue of Mother Jones. “After establishing a supposed hard line against bailouts over the weekend with Lehman Brothers, the government abruptly abandoned it Tuesday and announced an $85 billion Federal Reserve loan to insurance giant AIG. The explanation: AIG was deemed too huge (its assets top $1 trillion), too global and too interconnected to fail… The best case for the bailout seems to be that nobody has the faintest idea what the consequences of AIG’s failure for financial markets would be, but the fear was that it could lead to total chaos.” Read the details of why the bailout happened in the September 16, 2008 edition of Time. “But even as the fates of Lehman and Merrill hung in the balance, another crisis loomed as the insurance giant American International Group appeared to teeter. Staggered by losses stemming from the credit crisis, A.I.G. sought a $40 billion lifeline from the Federal Reserve, without which the company may have only days to survive. “We believe we can show that some Wall Street bankers had evidence, […], that there were serious problems with subprime mortgage investments. Rather than wind down this business, they sped it up using financial trickery.” – An enlightening report presented by NPR’s Planet Money and ProPublica on how Wall Street’s creation of the CDO (collateralized debt obligation) intensified the housing crisis. Listen to the NPR Fresh Air episode by the Planet Money team (7m23s) which aired on August 27, 2010. “Lehman Brothers, Wall Street’s favorite punching bag, took another beating on Thursday as jittery investors fretted over problems at home-loan giants Fannie Mae and Freddie Mac and absorbed regulators’ statements that they would not bail out all financial institutions. […] Lehman, once a leader in the now-battered mortgage market, is struggling against a tide of rumors, none substantiated but all magnified by fears about the true value of its assets that cannot be easily sold and the bleak prospects for its business in a weak economy.” Read the whole article at The New York Times. U.S. stocks collectively lost more than $100 trillion between October 2007 and March 2009. “Former trader and financial adviser Martin Armstrong, who is currently serving time in prison for a $1 billion fraud, will not get the chance to argue against a contempt conviction that added seven years to his sentence, after the U.S. Supreme Court refused to hear his appeal. The court denied Armstrong’s case on Monday, bringing an end to Armstrong’s fight against the contempt conviction, the sentence for which he has already served.” Read the details of the Supreme Court’s refusal in Law360’s October 29, 2007 article. “The National Association of Realtors said sales by homeowners slipped to an annual rate of 5.75 million last month, down 0.2 percent from the revised 5.76 million pace in June… Not only did sales slip but the number of homes for sale jumped 5.1 percent, the group said, meaning there is now a 9.6-month supply of homes for sale, up from 9.1-months in the June reading. It was the biggest supply of homes by that measure since October 1991.” Read the in-depth CNN report on what is now recognized to be one of the early major signs of the housing bubble. U.S. home prices fell for their third straight quarter, according to an industry report released Tuesday. […] National Association of Realtors (NAR) President Pat V. Combs said in a statement that the flattening in home prices is encouraging. “It appears the worst of the price correction is behind us,” she said. “More stable home prices and declining mortgage interest rates are increasing buying power, which should encourage potential buyers who’ve been on the sidelines.” – Read the whole news piece at CNN Money. “The decision by Judge P. Kevin Castel of Federal District Court in Manhattan ends one of the longest-running cases of civil contempt in American legal history. It will finally pry Mr. Armstrong, 57, from the Metropolitan Correctional Center in Lower Manhattan, where he has been held since January 2000.” New York Times, April 28, 2007. Exclusive interview with Martin Armstrong. He talks about his time behind bars and how his expertise was still in demand. “Martin A. Armstrong, the financial adviser who has spent seven years in jail on a contempt-of-court charge, was sentenced yesterday to five years in prison for running what prosecutors said was a $3 billion Ponzi scheme. 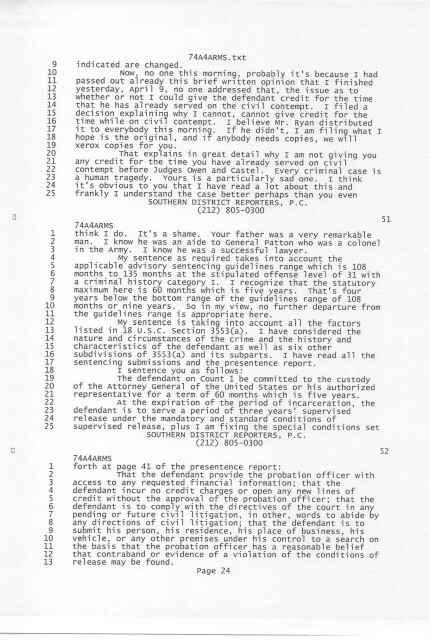 Judge John F. Keenan of the Federal District Court in Manhattan also ordered Mr. Armstrong, 57, to pay $80 million — plus one dollar — in restitution to the fraud victims… Ruling that the civil and criminal matters were separate, Judge Keenan chose not to credit Mr. Armstrong with the time he has already served. Instead, Mr. Armstrong will serve out his prison term after the civil case has been completed.” Read the full article in the April 11, 2007 issue of the New York Times for more details on Martin Armstrong’s sentencing hearing. On April 10, 2007, Judge John F. Keenan sentences Martin Armstrong to 5 years in prison and 3 years of supervised release. “February 23, 2007, quietly came and went, and the Armstrong skeptics sneered. But it turned out that that day had seen some of the tightest credit spreads ever (that is, the easiest credit); home prices, meanwhile, had begun a sharp decline. It was the peak of the easy-money bubble—the edge of the precipice, the lip of the recession. That this became clear only in retrospect says as much about the perils of prediction as it does about a propensity to see, as the past recedes, patterns and narratives that flatter our particular angle on the world.” Read more about Armstrong’s prediction in the New Yorker: The Secret Cycle. Defense lawyer David Cooper said yesterday’s guilty plea doesn’t put an end to Armstrong’s civil contempt, which he is appealing. 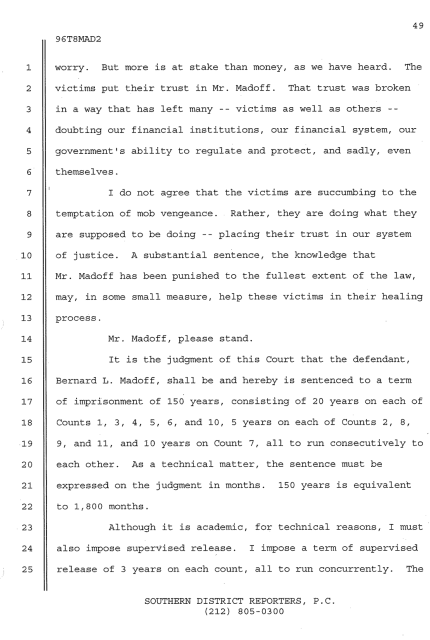 The decision on whether to end the civil contempt will be made later by U.S. District Judge Richard Owen in Manhattan.” Read more in the Baltimore Sun’s August 18, 2006 report on the plea hearing. 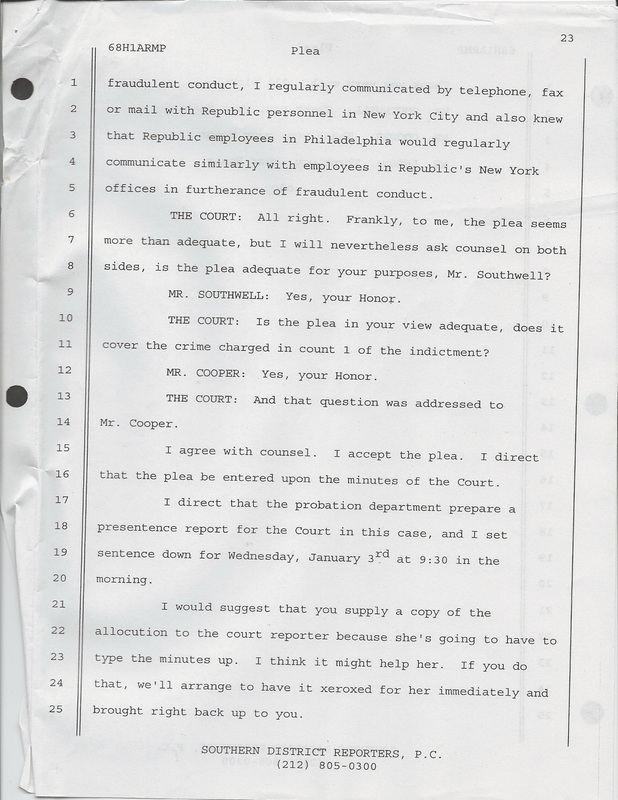 5 pages of selected court transcripts: Martin Armstrong pleads guilty in a hearing before Judge John F. Keenan on August 17, 2006. What Will Halt the Skid on Wall Street? “Even for investors who lived through the bear market of the 1970’s, the relentless slide of stocks since March has been deeply disturbing. Markets rarely move in one direction, whether straight down or straight up. Yet for the last four months, stocks have plunged day after day, and week after week, climaxing with Friday’s 390-point drop in the Dow Jones industrial average. “People worry that, with $7.7 trillion knocked off U.S. market capitalization since March 2000 ($750 billion in the past week alone! ), the selling will bleed into the economy, not just snuffing the recovery but sending the country into a deflationary episode like the one Japan labors under. Or like the United States strained under in the 1930s.” More about the context of the 2002 bear market is on CNN Money. “The Republic New York Corporation pleaded guilty to fraud in federal court yesterday and agreed to pay $606 million in restitution for its role in a scheme that cost Japanese investors millions of dollars. 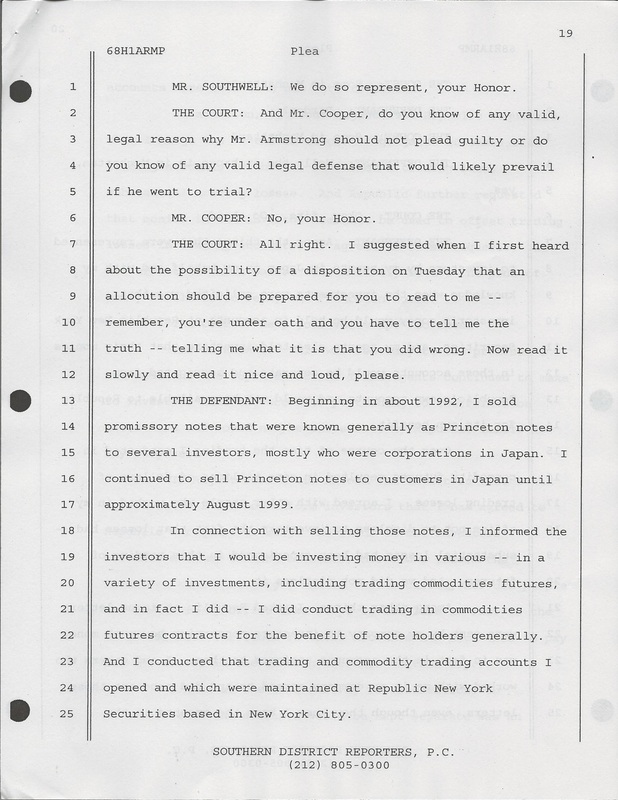 […] In its plea, the company acknowledged that some of its employees overstated the value of assets in the accounts of Martin A. Armstrong, the New Jersey investment adviser who is awaiting trial on charges that he cheated Japanese investors. 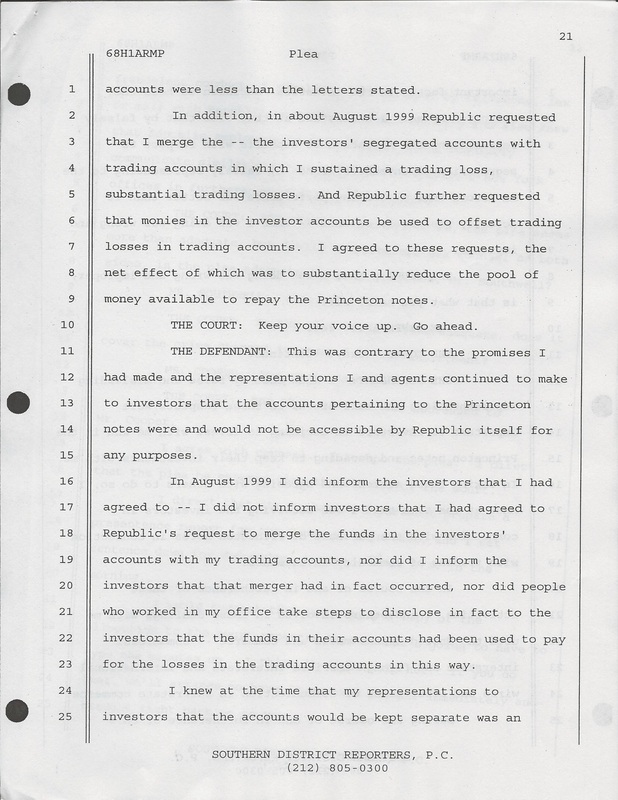 Those fake account statements covered up huge losses and allowed Mr. Armstrong to commingle client money to advance his scheme, prosecutors contend.” Read all about the plea of Republic Bank’s lawyers at The New York Times. Dot-Com Bubble Has Burst; Will Things Worsen in 2001? Martin Armstrong was imprisoned for 7 years for civil contempt, one of the longest-ever such cases in American history. From prison, he continued to work on his economic models, writing articles and analyzing the impact of current events. “Pets.com is only the latest Internet company to join the dot-com death watch. Monday, Furniture.com said it had shut down, and earlier this month, male lifestyle site TheMan.com closed down its site. In recent weeks, Beautyjungle.com, Eve.com and BigWords.com have either closed their doors or laid off staff. “I think that the most interesting thing about this is the rapid collapse of an entire industry,” Gomez senior analyst Matt Stamski said. “I think it’s unprecedented in this recent shakeout.” […]” Read more on CNET. “Markets notoriously overshoot, in both directions. So, it seems, can dot.com obsessions. For much of the past three years, shares in Internet firms have climbed stratospherically, regardless of whether they were making any profits or even any sales. The future promised land, it was felt, was all that mattered. But now the price of Amazon.com, the most famous e-commerce pioneer of them all, has tumbled. 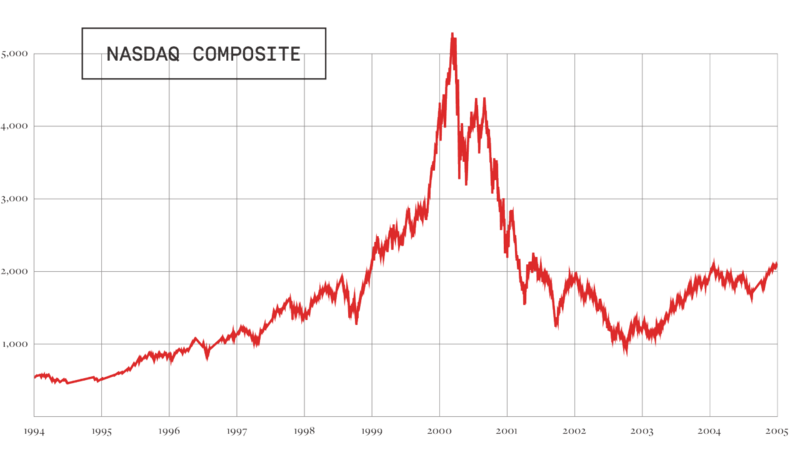 Some investors seem to have decided suddenly that nobody will ever make any money from commerce on the web, so they are dumping almost all their dot.com shares.” Read the full article in the The Economist on June 29, 2000 issue. Explore the different perspectives on this historic and troubling day on Salon. 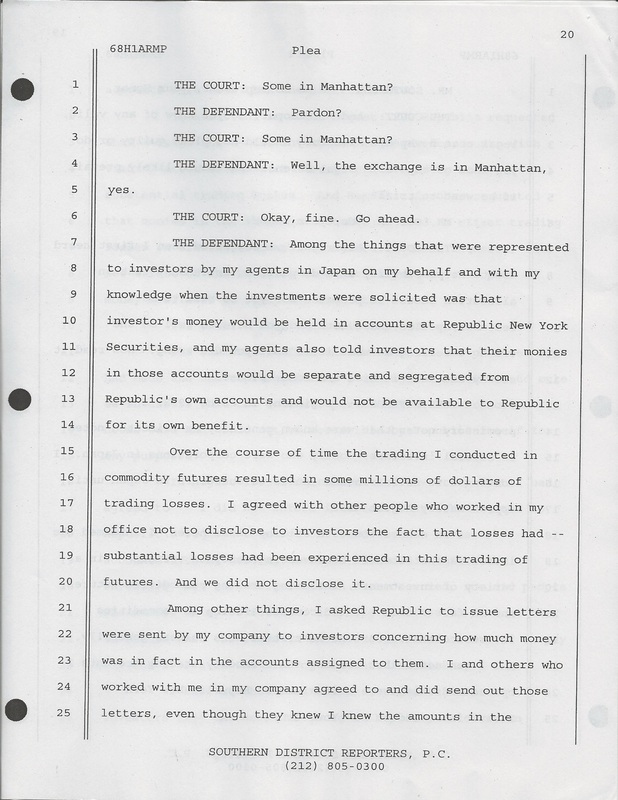 “On Jan. 14, 2000, Martin A. Armstrong, a globe-trotting investment manager, was told to produce $15 million in gold and antiquities, as well as documents, in response to a civil suit by the government accusing him of securities fraud involving hundreds of millions of dollars.” Read a detailed report on Martin Armstrong’s case in the February 16, 2007 edition of the New York Times. “Edmond J. Safra, a multibillionaire who built a banking empire that specialized in catering to the very rich, suffocated in a predawn fire on Friday in his luxury duplex penthouse here on the Riviera, and the local authorities said the fire had been set by two hooded intruders.” Read more in the New York Times’ article on this event and in Edmund J. Safra’s obituary in the same issue. “Federal authorities arrested a former Bank of New York employee yesterday on charges of making false statements to investigators in a money laundering inquiry involving the bank and its clients in Russia. She entered a plea of not guilty.” Read all at The New York Times. This is an exclusive Interview with Martin Armstrong shot after the premiere of the documentary "The Forecaster" in Berlin. In this part he talks about his court hearings back in 1999 and the particular role of federal judge Owen. One of the most curious aspects of Martin Armstrongs case has to do with a billion Dollars. Nobody lost the money and yet it's the main reason for his arrest. 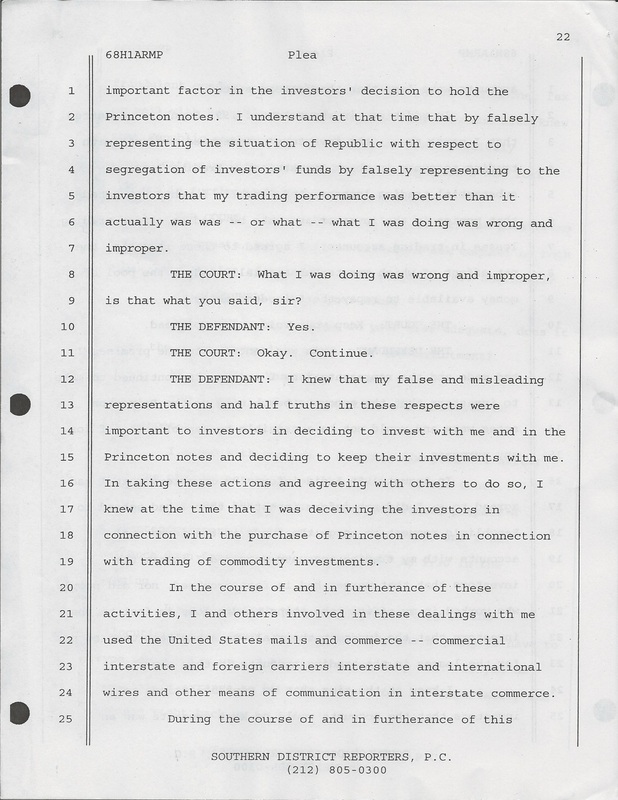 “Martin A. Armstrong, the investment adviser and chairman of Princeton Economics International, was indicted by a Federal grand jury yesterday on charges that he defrauded foreign investors in connection with the sale of $3 billion in securities issued by Princeton.” Read the full New York Times article reporting Martin Armstrong’s indictment on October 1, 1999. “Billions of dollars have been channeled through the Bank of New York in the last year in what is believed to be a major money laundering operation by Russian organized crime, law enforcement officials say… From October through March some $4.2 billion, in more than 10,000 transactions, passed through one account, investigators said.” Read more in the August 19, 1999 edition of the New York Times. The money from the fund went to the Russian central bank. And the bank spent it to intervene in the markets and buy rubles for several weeks. Some money may also have been provided to banks, giving their clients access to dollars in return for ruble deposits. The result was that the $4.8 billion was quickly drained away, and a similar amount appeared in overseas bank accounts. This only could have been avoided with capital controls, rules that prevent taking money out of the country, which the United States has rarely supported in recent years.” For more on U.S. officials’ concerns, read the full article at the San Francisco Chronicle. “In an apparent effort to calm jittery investors worldwide, officials from both countries stressed Russia’s continued commitment to economic progress. But given the resistance to both Yeltsin and Chernomyrdin in the Communist-dominated Duma–the Russian parliament’s lower house, which has already rejected Chernomyrdin’s nomination as prime minister once and is demanding that Yeltsin surrender to it a greater share of political power–there was no guarantee that the Russian leaders have the power to back up their rhetoric with action.” Read more about Clinton’s visit to Russia in the September 2, 1998 edition of the Los Angeles Times. A slide of a presentation of Martin Armstrong’s Economic Confidence Model with the 1998 outlook predicting almost all the financial turmoils that followed after. Including the collapse of Russia the same year, the 2000 dot-com bubble, the 2007 real estate bubble and the sovereign dept crisis starting 2009 leading to the 2015.75 sovereign debt big bang. In this exclusive interview Martin Armstrong talks about how banks like Goldman Sachs are involved in his case and who is behind the mysterious Club. “Calls for a currency devaluation and dwindling cash reserves sent the Russian stock market into a meltdown Thursday, causing a halt in trading for 35 minutes and prompting the local press to dub the day ‘Black Thursday.’ […] The Russian Trading System electronic exchange plunged 15 percent in the first 40 minutes of trading before being halted. The index closed Thursday down 7 points at 101.17, off nearly 6.5 percent.” Read CNN’s full article on this disastrous day for Russia. “US President Clinton has welcomed the International Monetary Fund’s decision to give Russia a $22bn loan to help it stabilise its economy. […] In return the Russian government has promised to stop issuing short-term government bonds, which helped it over recent cash flow problems, but carried very high interest rates which are draining the government’s coffers.” Read the whole news article at BBC News. “Russia’s main stock index sank 10.2 percent, continuing a massive investor flight from the country’s markets that has aroused fears of a collapse in the ruble and political tumult in the giant nuclear power. 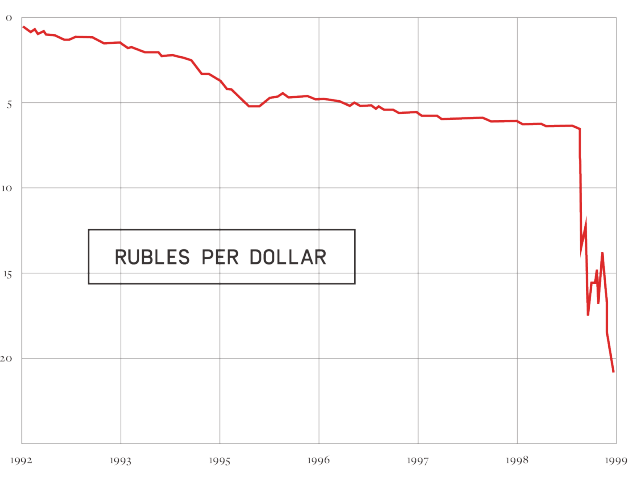 Yesterday’s decline came despite an unusual Sunday statement from President Clinton pledging that the United States would support an international rescue package beyond aid already in place.” Explore the context of Russia’s predicament in the June 2, 1998 edition of the Washington Post. “Japan’s stock market spawns two kinds of investors: believers and skeptics. The believers are getting rich. The skeptics are getting sore,” reporter Marcus W. Brauchli wrote in an article published Jan. 2, 1990. “Even cautious predictions call for the Nikkei Index to end 1990 above the 45000-point level, climbing from its 1989 close of 38916. […] After moving relentlessly and often precariously higher for five years, Japan’s stock market seemingly has collided with a new reality.” Read more on the collapse of the Nikkei at the Wall Street Journal. What Happened to the Nikkei in Japan? “Economic historians usually date the beginning of the bubble economy in September 1985, when Japan and five other nations signed the Plaza Accord in New York. That agreement called for the depreciation of the dollar against the yen and was supposed to increase U.S. exports by making them cheaper. But it also made it cheaper for Japanese companies to purchase foreign assets. And they went on an overseas buying spree, picking off properties like the Rockefeller Center in New York and golf courses in Hawaii and California. 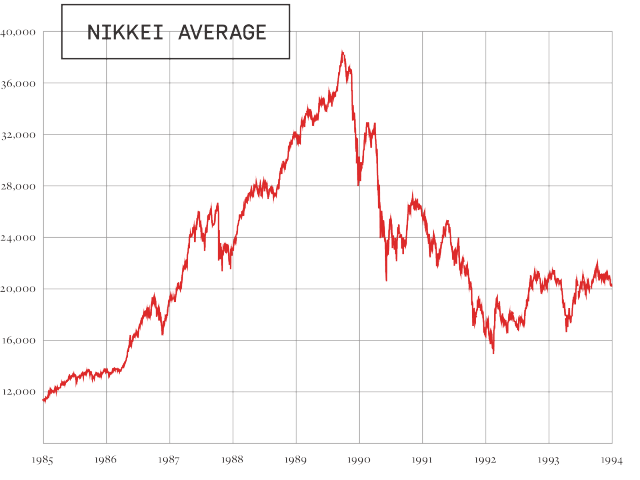 […] By December 1989, the benchmark Nikkei 225 stock average had reached nearly 39,000. But beginning in 1990, the stock market began a downward spiral that saw it lose more than $2 trillion by December 1990, effectively ending the bubble era.” Visit the Japan Times for more “lessons from when the bubble burst,” starting a decade of economic recession. 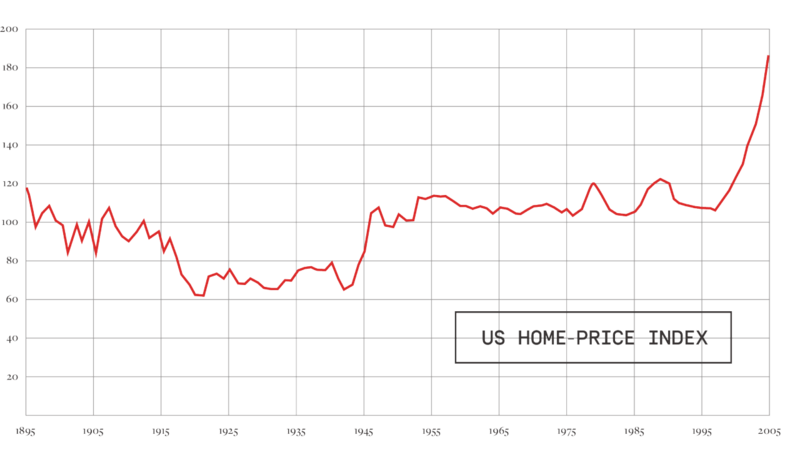 “The Japanese obliged and their own capital contraction led to the next bubble top at the peak of the 8.6-year cycle that was now due 1989.95. As the Japanese took their money home for investment, the value of their currency rose as did their assets thereby attracting global investment as well. From Martin Armstrong’s seminal work “The Business Cycle and the Future”. Mike Campbell: „In the early 1980s, friends of mine said you should come and hear Martin Armstrong. He predicted the top in the Nikkei index in December of 1989. In writing, very clearly. But he also phoned me that day and he phoned me the day and he said I just wanted you to know, the Nikkei index has hit its high for your lifetime today and it’s going from 39000 to 8000.” Obviously that prediction was correct. 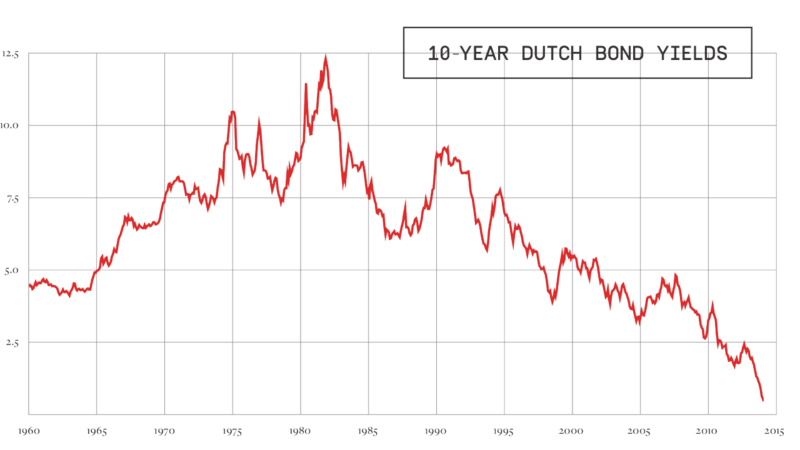 “Millions of Britons who had bought stock since 1979, when Margaret Thatcher came to power pledging to make Britain a nation of shareholders, were rudely introduced this week to the notion of market risk: prices go down as well as up. […] Now, despite an 8 percent rebound in London share prices today, stock market analysts predict that the unprecedented 23 percent slide on Monday and Tuesday will leave these investors leery, undermining the Government’s efforts to increase share ownership. No Longer a ‘One-Way Deal'” Read the whole article at the New York Times. “Just a few days ago, Mr. Greenspan was under pressure from the financial markets to increase interest rates and prove his willingness to fight inflation. But by yesterday, the focus had changed dramatically. After Monday’s unprecedented market crash, traders and analysts were calling on the central bank to ease credit to avoid recession. […] But the market’s nose dive could change those fundamentals substantially. In just a week, the market has wiped out — on paper — nearly a trillion dollars of wealth. Among those who were hard hit, that is likely to damp enthusiasm for spending money on houses, cars, furniture and appliances. And lower stock prices will hobble businesses trying to raise the money needed for capital investment.” Read the whole article at the Wall Street Journal. “The Dow Jones industrial average celebrates the fifth birthday of a gigantic bull market today and its top-performing stocks during this period continue to draw praise from analysts. […] At its latest reading, the 243.58 percent advance over five years represents the third-best showing of any bull market in the 20th century. Top billing goes to the 371.62 percent gain that occurred between July 8, 1932, and March 10, 1937, as the nation emerged from the Depression. And the economic expansion after World War I carried the Dow ahead 331.53 percent between May 20, 1924, and Sept. 3, 1929, right before the stock market crash that October.” Read the whole report on the bull market at the New York Times. The Wall Street Journal in a short piece about two commodities advisers. One of them is Martin Armstrong: “Mr. Armstrong says his strategy, is based on enduring values, like fear and greed. ‘Our cyclical analysis works because it is totally based upon human emotions,’ he says. ‘That is what moves markets. Human emotions are there for every inflationary spiral and deflationary collapse. '” Martin Armstrong has a copy of the article on his blog. “On June 6, 1982, the Israeli Defense Force, following the directions of Ariel Sharon, Israeli Defense Minister, launched a large scale invasion across the northern border into Lebanon. The invading force consisted of nearly 60 thousand Israeli soldiers organized into 9 division sized formations and supported by portions of the Israeli Air Force and Navy. The announced purpose of the attack was to push back those elements of the Palestine Liberation Organization (PLO) operating in southern Lebanon to a distance 40 kilometers north of the border between Israel and Lebanon 50 that Israeli settlements and villages of northern Galilee would be beyond the range of PLO artillery.” Read the full Quantico report on GlobalSecurity.org. “The United Nations Security Council, meeting in an emergency session at Lebanon’s request, issued a unanimous call for a ceasefire between Israeli and Palestinian forces. A United Nations spokesman said some Israeli tanks, artillery and armored personnel carriers had moved into the enclave in southern Lebanon controlled by Christian militiamen. […] The state-run Lebanese television reported that “casualties were heavy but it is impossible to establish exact numbers.” The television said a total of 60 people were killed and 200 wounded in Friday’s Israeli air raid on Beirut.” Read the full New York Times report. “As the story goes, the opening bell was never heard on Black Tuesday because the shouts of ‘Sell! Sell! Sell!’ drowned it out. In the first thirty minutes, 3 million shares changed hands and with them, another $2 million disappeared into thin air. Phone lines clogged. The volume of Western Union telegrams traveling across the country tripled. The ticker tape ran so far behind the actual transactions that some traders simply let it run out.” Read the entire “Brief History of the Crash of 1929” in Time. “1,000 Mill Madly on Floor of Exchange and Thunder of Voices Is Heard Outside. Furious Pace Before Gong. Then Perspiring Traders With Torn Collars Stand Limply or Jump and Laugh. Crowds Surge In Street. Movie Men Take Pictures of Excited Throngs–50,000 Clerks at Work as Wall St. Stays Up All Night. Brief Silence Follows Gong. Clerks Labor Into Night. Brokers Were Prepared. Crowds Gather Outside. Gallery Is Thronged. Speculators Watch Boards” Read the whole intense report from the Wall Street floors at the New York Times. “In an effort to corner the gold market, speculators, including Jay Gould and James Fisk, sought the support of federal officials of the Grant Administration in order to push the price of gold up before the US government returned to the gold standard after the Civil War. Fisk and Gould probably made a profit of about $11 million by their manipulations, but many claimed to have been ruined by the panic. The name Black Friday has lived on in history ever since. Today, the term “Black” has been used to describe numerous financial panics around the world despite the fact that only prices have fallen. The Gold Panic of 1869 was by far the strongest rally of all time even surpassing the rally of 1980. Gold would eventually peak in September of 1869 only after making a substantial ten-fold rally as reported by the NY Times on September 24th, 1869.” Read Martin Armstrong’s analysis of the panic of 1869, a key event in unlocking his understanding of the business cycle as cyclical, not linear. “The bear party at times seemed to be perfectly frantic while undergoing punishment at the hands of the exultant and defiant bulls; and as the roar of battle and the screams of the victims resounded through New-street, it seemed as though human nature was undergoing torments worse than any that Dante ever witnessed in hell.” For the entire account of September 24, 1869, the day that would become known as the first Black Friday, read the full article in the New York Times archive. Excerpt from the movie „The Toast of New York“. Martin Armstrong’s history teacher showed him the old black and white film, starring Edward Arnold and Cary Grant, which portrayed the gold manipulation of Jim Fisk that resulted in the Panic of 1896. The movie changed Armstrong’s perception of the world forever. A scene in this movie showed Cary Grant reading the prices of gold from the tickertape as it hit $162 in 1869. Since gold was $35 in the 1960s, there was clearly something wrong with the whole linear thought process of economic history. Seeing the patterns of ancient civilizations like Rome repeated over and over gave Martin Armstrong the historical perspective to see the cycles in confidence and economy. “But the real crisis came after Caracalla, between 258 and 275, in a period of intense civil war and foreign invasions. The emperors simply abandoned, for all practical purposes, a silver coinage. 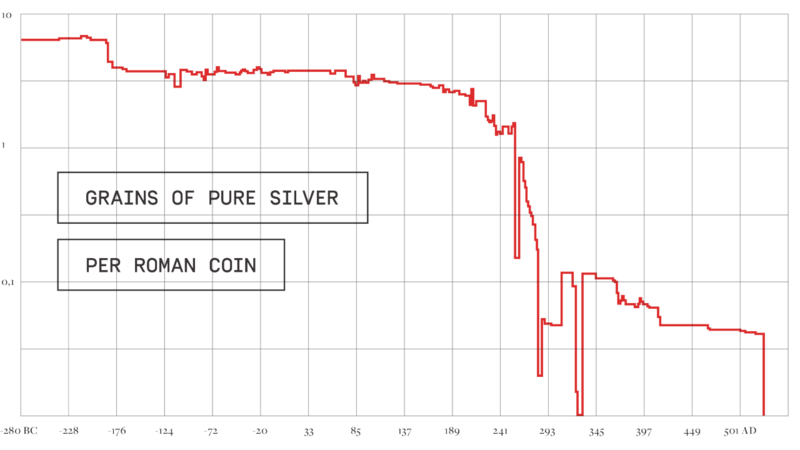 By 268 there was only 0.5 percent silver in the denarius. […] Prices in this period rose in most parts of the empire by nearly 1,000 percent. The only people who were getting paid in gold were the barbarian troops hired by the emperors. The barbarians were so barbarous that they would only accept gold in payment for their services. […] The situation did not change until the accession of Diocletian in the year 284. Shortly after his accession he raised the weight of the gold coinage, the aureus, to 60 to the pound — this was from a low of 72.” Read the full transcript of Professor Joseph Peden’s lecture for Mises Institute.